Ysplit is testing a virtual card which can be used by friends and people in house shares to split bill payments. Where it differs from similar schemes is that Ysplit earns interchange fees from being the card on which the bill is paid. The Ysplit Card can be used to pay for utility or restaurant bills, or in other places that groups of people split bills and which accept mobile or online payments. 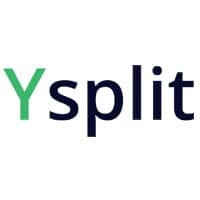 Ysplit charges merchants 1.3% to 2% of the transaction, according to TechCrunch. The Ysplit Card works like other mobile debit cards but instead of taking payment from a single bank account when the card is used, the amount is split between every person in the group and their share is taken automatically. The people and accounts linked to the bill are set up in advance on the mobile app. The cardholder does not need to keep track of who owes how much or to recoup money from their friends. “We front the payment and, as we’re fronting payment, we’re ensuring everyone on the card has enough money,” Ysplit co-founder Tunde Alao told TechCrunch. The card can be locked so it is accepted only at certain merchants. The scheme is rolling out to 500 customers following beta testing in 40 households.